NEW YORK, NY (October 8, 2017) — Today, after Vice President Pence walked out of an NFL game in Indianapolis and President Trump tweeted about it, Iraq and Afghanistan Veterans of America (IAVA), the non-partisan organization and leading voice of the Post-9/11 generation of veterans, with over 400,000 members nationwide, unveiled the findings of the first and most comprehensive national poll of veterans and military personnel on the recent protests in the NFL. 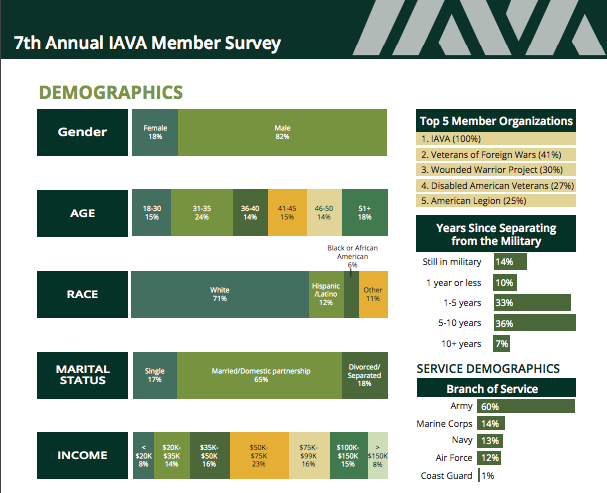 More than 8,000 veterans and servicemembers responded to this groundbreaking poll, which overall showed that opinions on the protests span the spectrum. 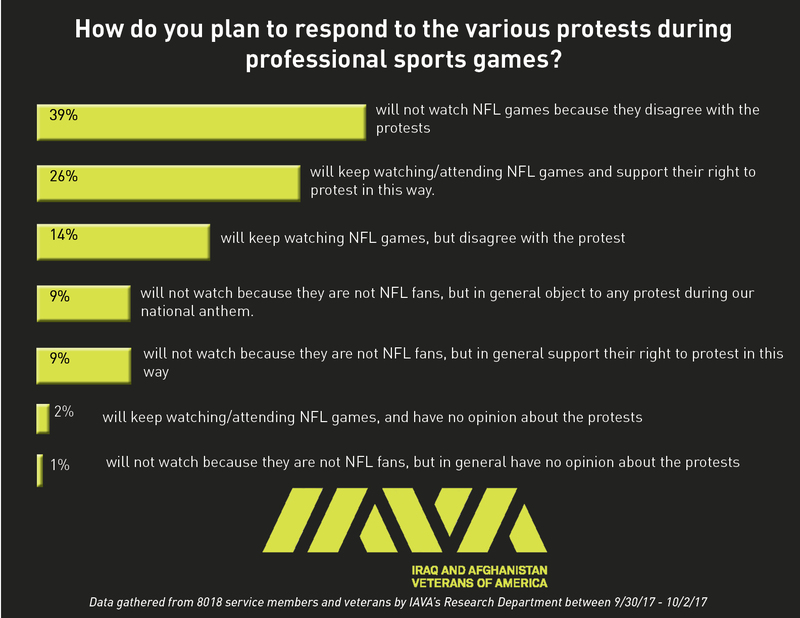 The data, available online here, revealed that 98% of service members and veterans polled believe the First Amendment protects the right to peacefully protest. 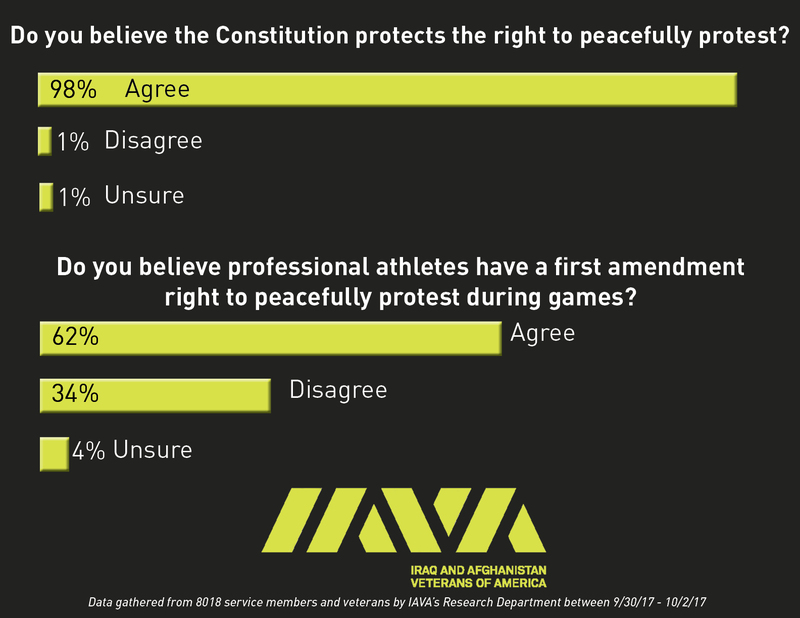 62% believe NFL players have the right to peacefully protest during a game. 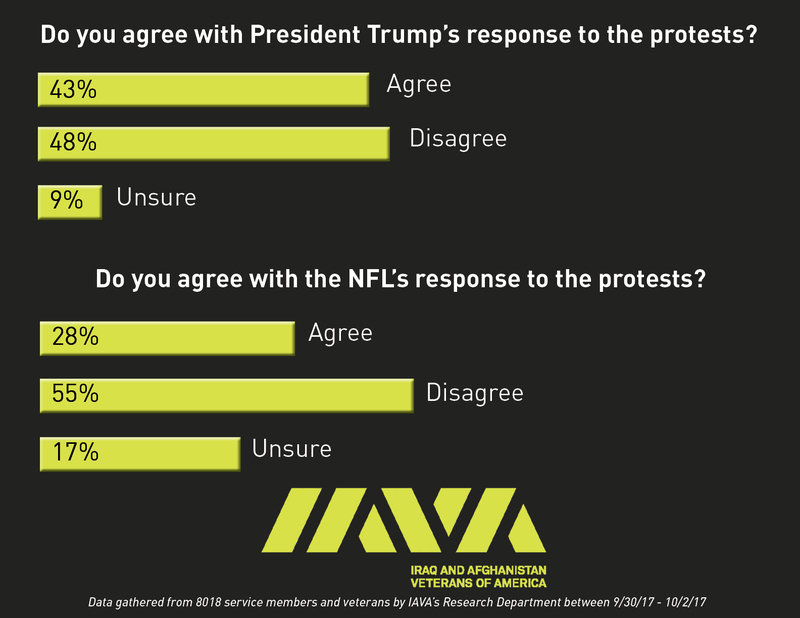 It also found that many disagree with both President Trump and the NFL’s response to the protests and that many will boycott the NFL outright. 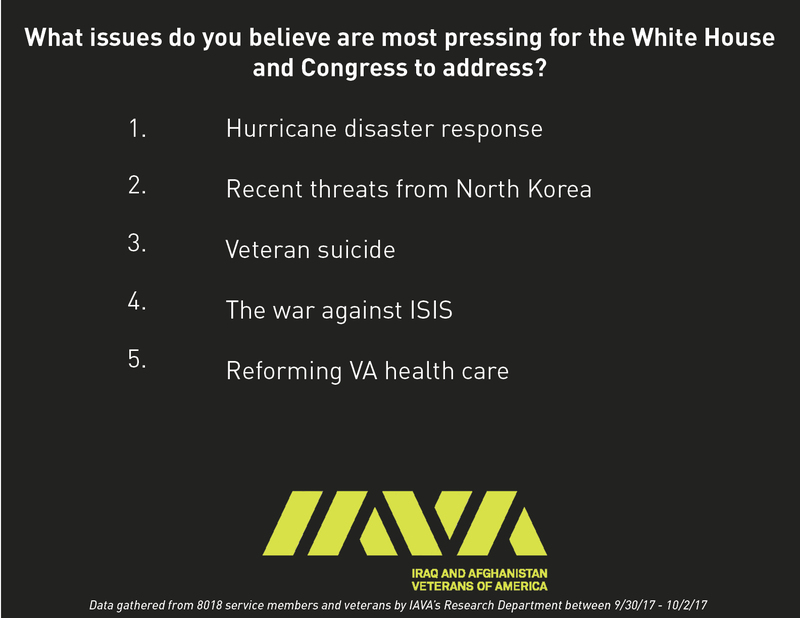 Most polled also felt that many other issues facing America are more urgent right now.